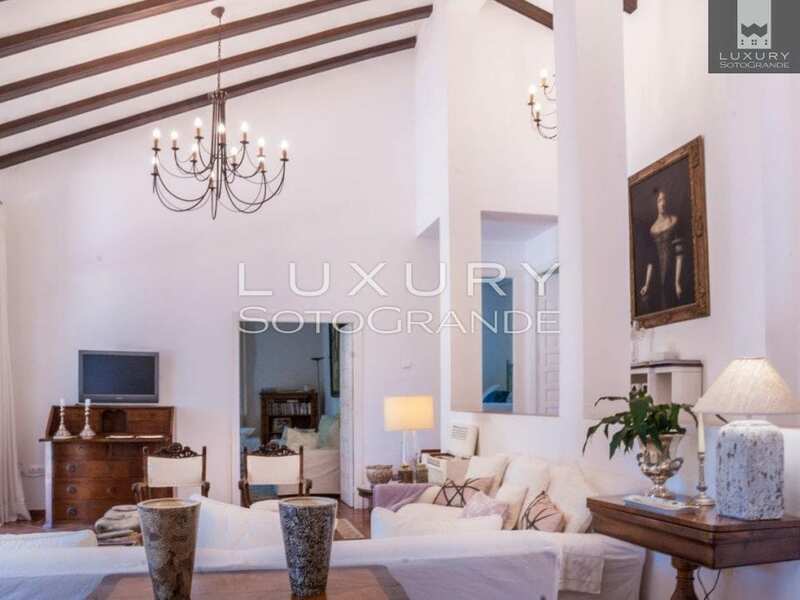 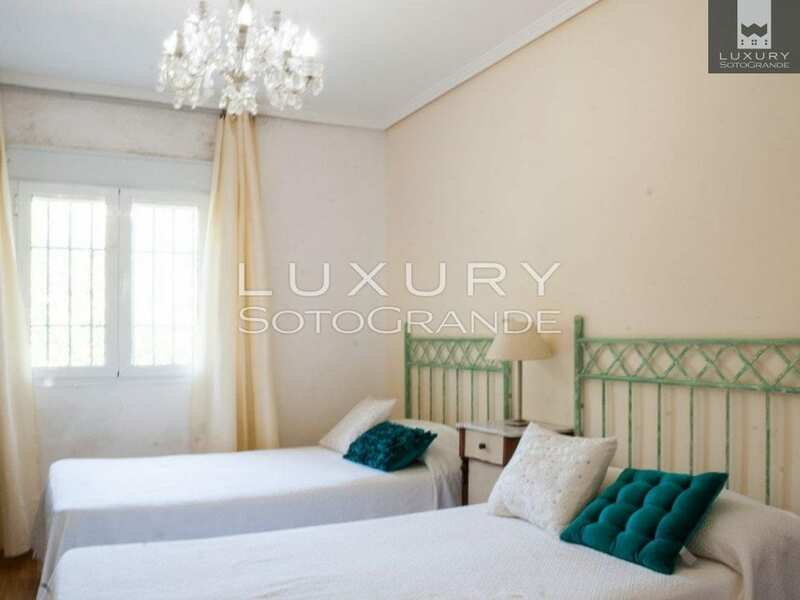 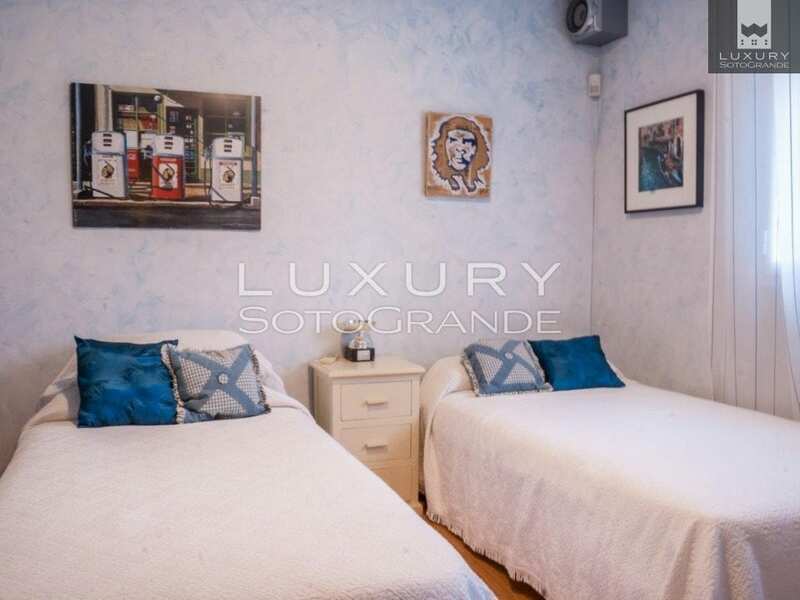 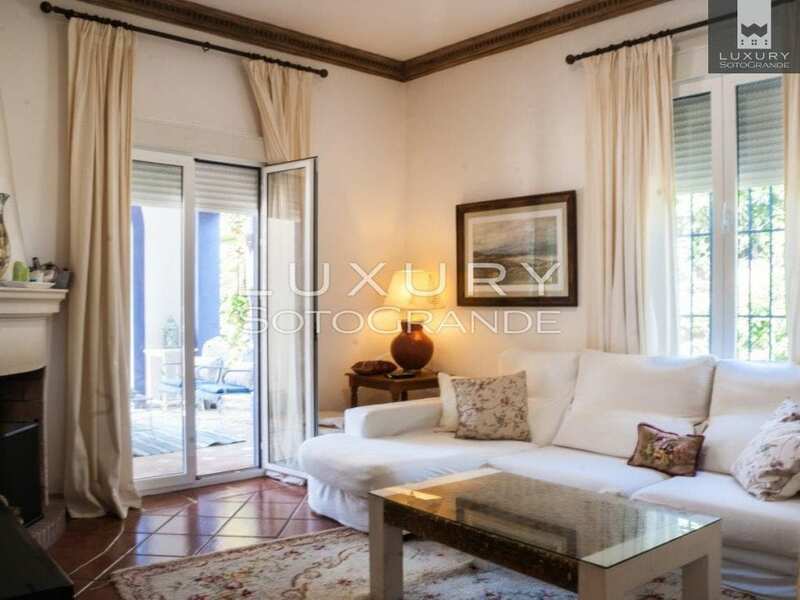 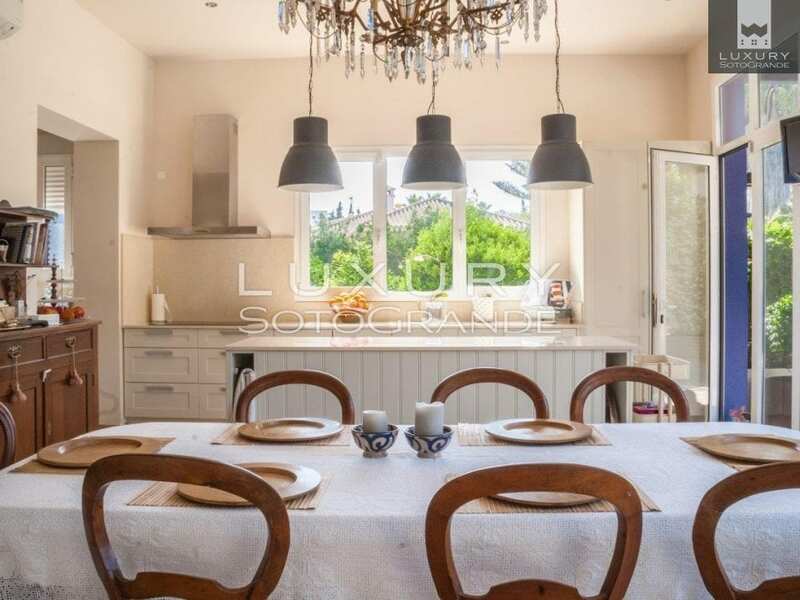 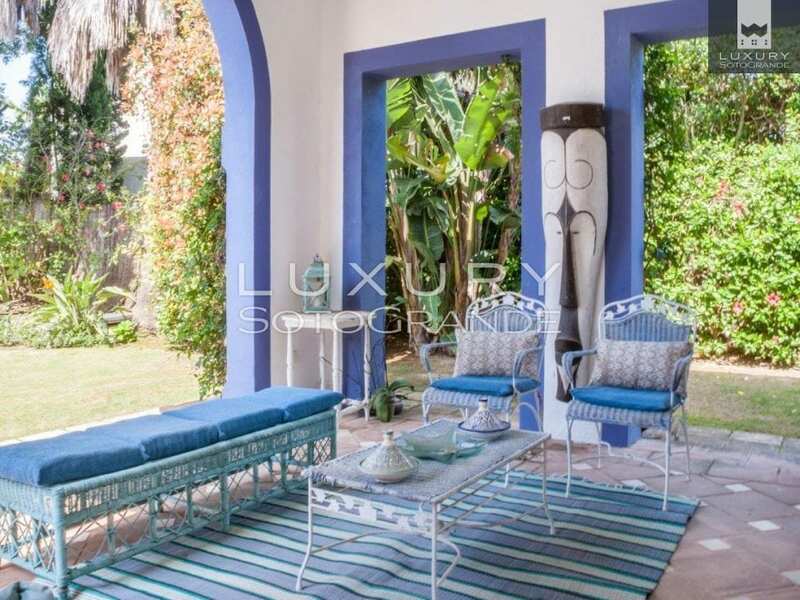 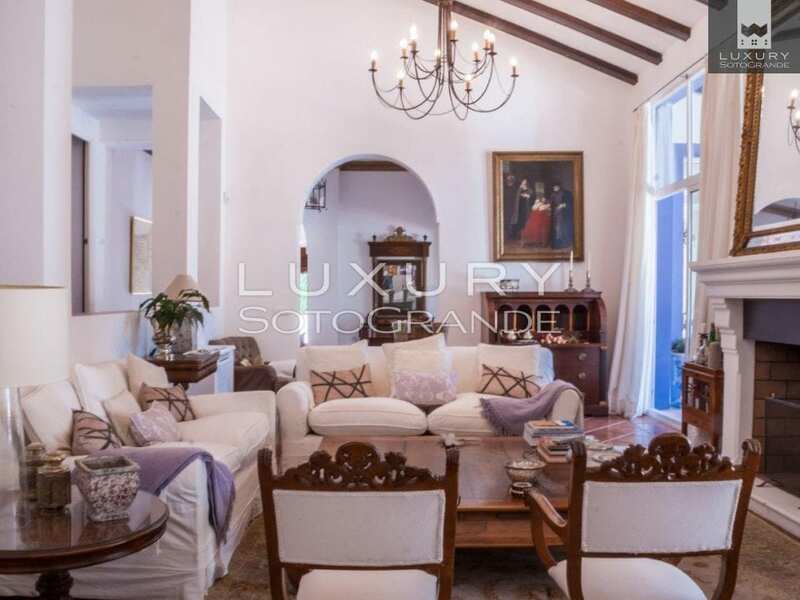 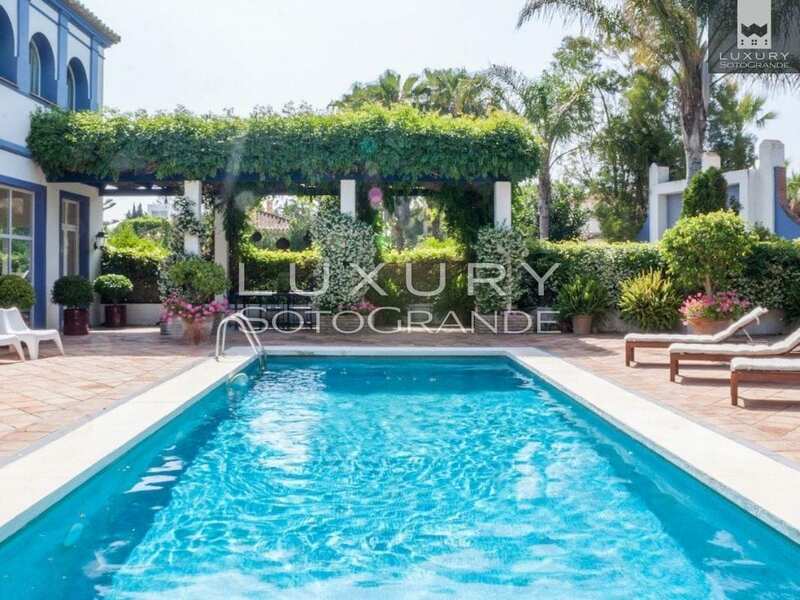 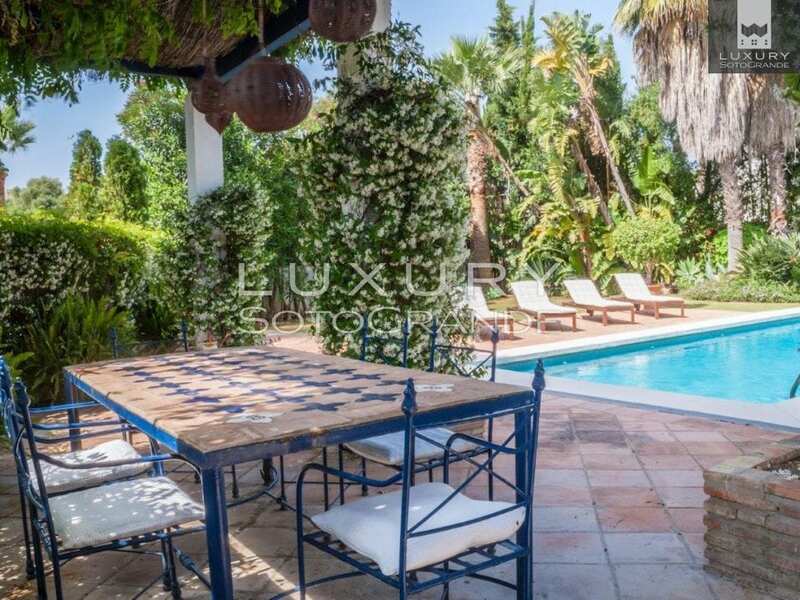 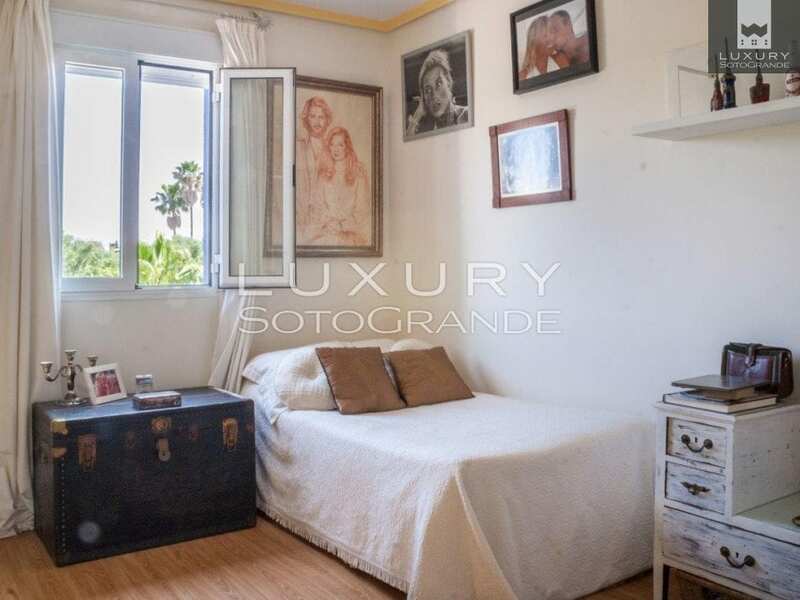 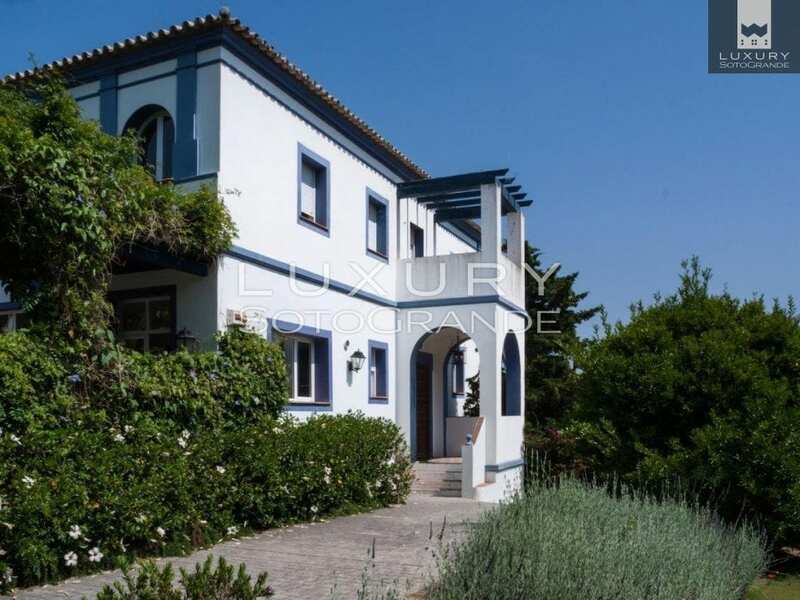 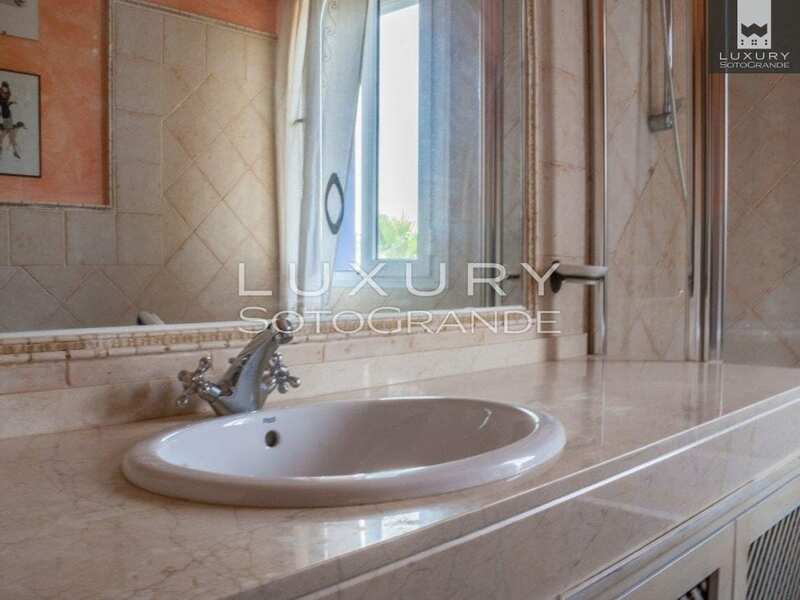 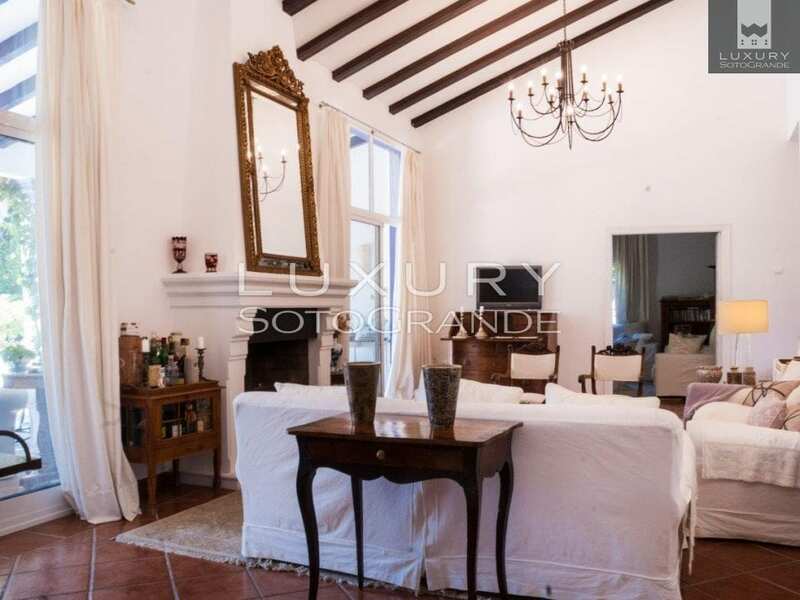 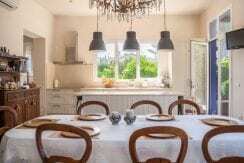 Beautiful colonial style villa located in the “B” area of Sotogrande Costa. 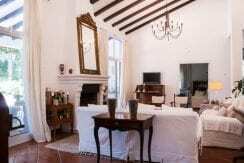 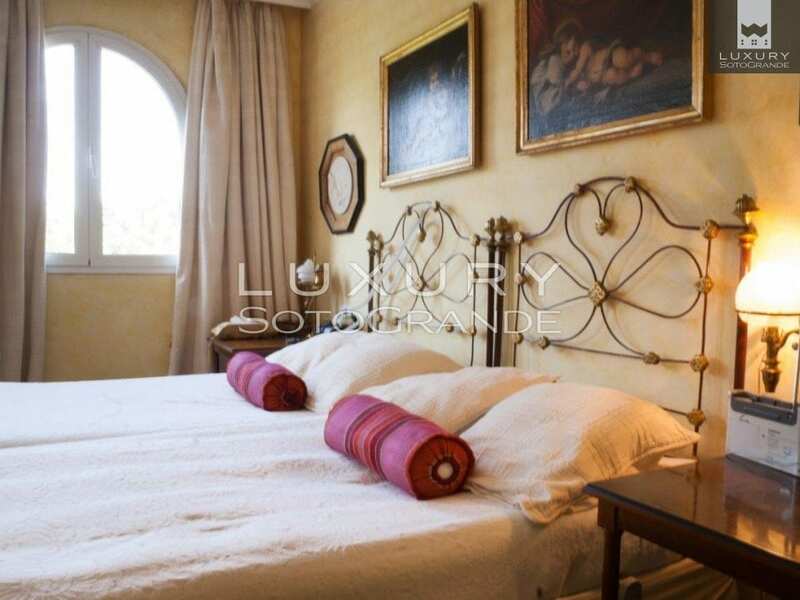 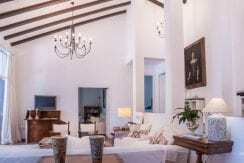 The accomodation comprises six bedrooms and five bathrooms distributed in the two floors. 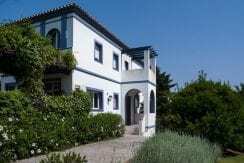 Other extras like double glazing, spacious south facing covered terrace, private pool, garage for two cars, hot and cold air condition, chimney in the living area. 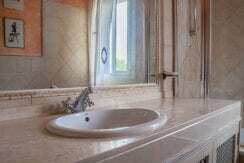 On the first floor there is a fabulous master suite including walk through closet, gym and office area. 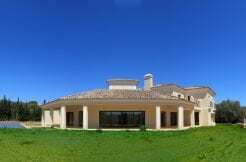 Next to a green area.